Not as architecturally distinguished as its sister at the opposite end of George Street, St Andrew Square is dominated by the fluted column of the Melville Monument, commemorating Henry Dundas, 1st Viscount Melville (1742-1811), Dundas was the most powerful Scottish politician of his time, often referred to when alive as Henry IX, the ‘Uncrowned King of Scotland’. The impressive Palladian mansion of Dundas House, built between 1772 and 1774, on the eastern side of the square, was built for Sir Laurence Dundas (1712-81) – no relation to Viscount Melville. It has been the head office of the Royal Bank of Scotland since 1825 and has a spectacular domed banking hall dating from 1857 (Why not nip in for a quick look!). Just a short distance along George Street is the Church of St Andrew & St George, built in 1784 with an unusual oval nave. It was the scene of the Disruption of 1843, when 451 dissenting ministers left the Church of Scotland to form the Free Church. Just north of the square at the junction with Queen Street is the Venetian Gothic palace of the Scottish National Portrait Gallery. Its galleries illustrate Scottish history through portraits and sculptures of famous Scottish personalities, from Robert Burns and Bonnie Prince Charlie to Sean Connery and Billy Connolly. 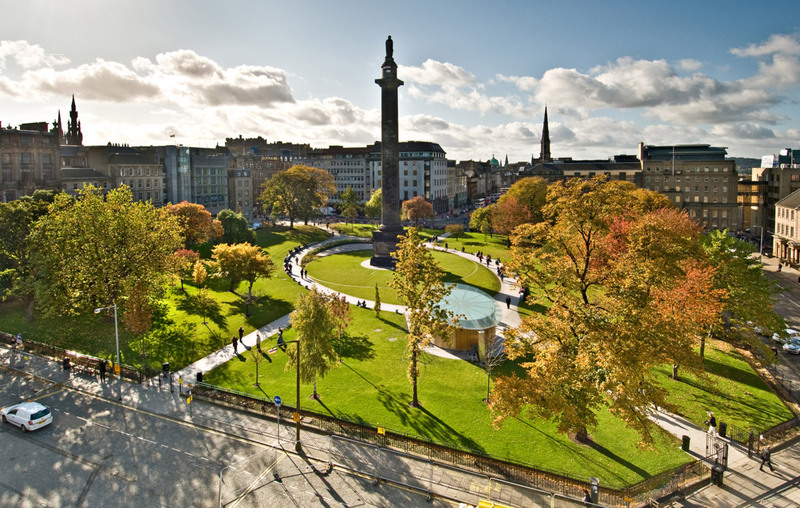 St Andrews Square is a hidden gem that is worth a visit on your tours of Scotland.